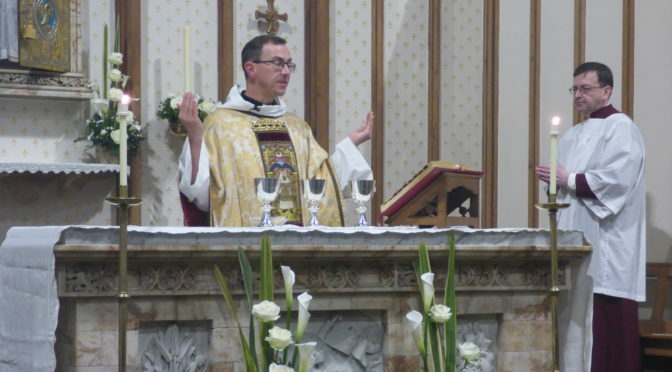 The celebration of Mass on Sunday is, for Catholics, the centre of the week. Sunday Mass is celebrated at St Cuthbert’s at 10:00am (Sung Parish Mass) and at 6:30pm (Sung Student Mass during University Term; quieter during vacations). Mass is usually celebrated daily during the week at 9:15am on Saturdays; 12:15pm on Tuesdays, Thursdays and Fridays; and 7:00pm on Wednesdays. The Wednesday evening Mass during University Term is usually sung with simple chants. Weekday Mass times (and occasionally venues) are subject to change: please see the right hand column of this page for the times over the next week. The Blessed Sacrament is exposed before Mass on Wednesday evenings (i.e. c. 6:30pm – 6:55pm) during term, Advent and Lent; the Sacrament of Reconciliation (Confession) is also available in this period. 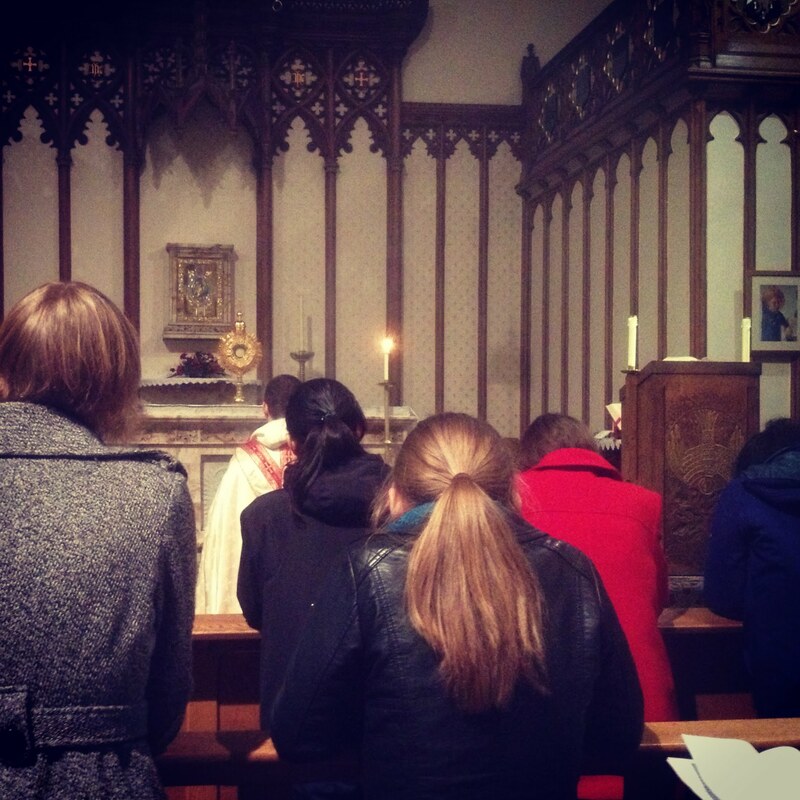 On Tuesday mornings during term, the Catholic Society celebrates Lauds (Morning Prayer). Lauds lasts about 15-20 minutes. Books and instruction are provided if necessary. The Catholic Society organises a breakfast afterwards. Morning Prayer is also celebrated on most weekdays at 8.00am, and at 8.45am on Saturday and Sunday.